The 2018 Chevy Malibu is a midsize car that is high on design, style, and function. The Malibu has sleek, exterior styling, impressive fuel efficiency, and a 2015 “Most Dependable Car” award behind its name. The Chevy Malibu is also an IIHS top safety pick with its available Driver Confidence Package option. Technology options are generous for entertainment, navigation, and safety on the 2018 Malibu. 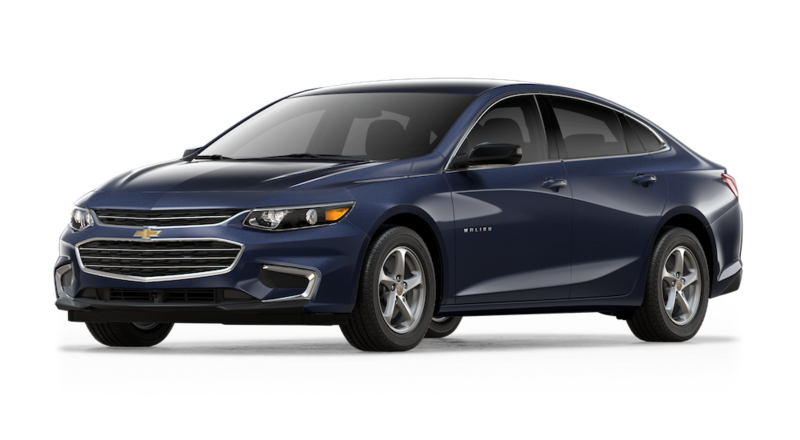 Available in 10 exterior colors and several eye-catching and performance-enhancing trims, like the Redline, the Turbocharged, and the Hybrid, it’s easy to see why the Chevy Malibu has received the most awards and is the fastest growing car brand in its class. The Chevrolet Malibu is a balanced and efficient performance on the road. The Malibu comes with front-wheel drive and a turbocharged 1.5-liter 4-cylinder engine. It has 160 horsepower and a 6-speed automatic transmission. The Premier trim level offers an upgrade to a 2 liter 4-cylinder engine and a 9-speed automatic transmission. The performance upgrade makes the fuel economy drop slightly but is a good choice for those who need a little more power. The Malibu has top-of-its class fuel efficiency and gives drivers an EPA estimated 27 MPG in the city and 36 MPG on the highway. For those looking for more fuel-efficiency, the hybrid model of the Malibu offers 49 MPG. The engine and transmission combinations on the Malibu offer drivers a smooth, yet energetic ride, with good handling and nice acceleration times. A suspension designed for a smoother ride, along with responsive brakes and handling round out the performance perks on the 2018 Chevrolet Malibu. The safety features do not stop there. The Malibu also has a comprehensive airbag sensing system that deploys in cases of collision. A steel safety cage comprises the overall strong structure of the Malibu, offering the utmost in crash protection as it absorbs and distributes force in the event of a collision. With all of this standard and available active and passive safety technology, it is not a surprise that the Malibu has consistently received top safety ratings over the years. Along with navigation, connectivity, and entertainment, the 2018 Chevrolet Malibus technology really enhances the safety features on this midsize car. The exterior design of the 2018 Chevy Malibu impresses with its sleek, flowing lines and is both sporty and luxurious – not what you would normally expect from a midsize vehicle. The 2018 Chevy Malibu is available in four trim models; L, LS, LT, and Premier. There are ten exterior color options to choose from. For 2018, The Malibu offers LED tail lights and daytime running lights that enhance its sculpted body design. The Redline trim is available on the LT trim level of the Malibu lineup and brings that bit of extra style to the Malibu offering eye-catching accents like a black grille and bowtie, black wheels with red accents, and additional sporty touches that accent the Malibu’s aerodynamic lines. Style and function continue into the interior of the Malibu. User-friendly and intuitive technology, like available steering wheel, mounted controls, USB ports for charging your tech on the go, and built-in 4G LTE WiFi help you stay in control and connected on board the 2018 Malibu. Apple CarPlay and Android Auto compatibility offers drivers and passengers an easy way to enjoy their favorite music, audiobooks, or podcasts on the go. 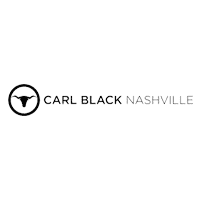 Here at Carl Black Nashville, we are proud to offer a great selection of trucks, SUVs, and cars, including the 2018 Chevy Malibu. Our customer service team is ready to help you find your perfect vehicle. We want to know what is important to you so we can find the vehicle that best fits your lifestyle, task, and budget needs. We’re proud of our inventory that includes many great options in both new and used vehicles. We stand behind all of our vehicles and are happy to offer warranties for both our new and used model cars. When it comes time to purchase your car, truck, or SUV our team of finance experts will help you find the perfect lease or loan to finance your new or used vehicle. We understand that not everyone has perfect credit – we’re here to help. We’ll use all of our resources to get you the financing that you need so you can start driving your new vehicle as soon as possible.